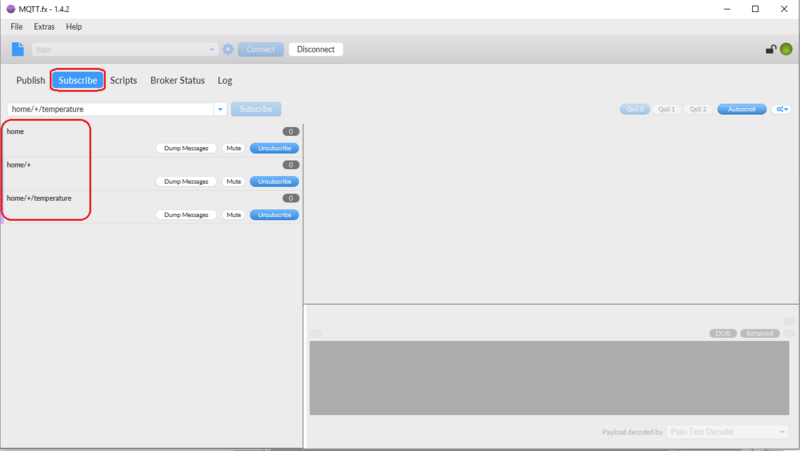 This is a tutorial on how to connect to Tago MQTT, subscribe to topics using wildcards and publish to a topic. For this tutorial we will use the software Mqttfx. To download and learn more about Mqttfx go to their website www.mqttfx.org. To connect to the Tago MQTT and publish to any topic, first, we need to adda device. Go to the admin and create a device. Then, go to the section tokens and copy your device-token. 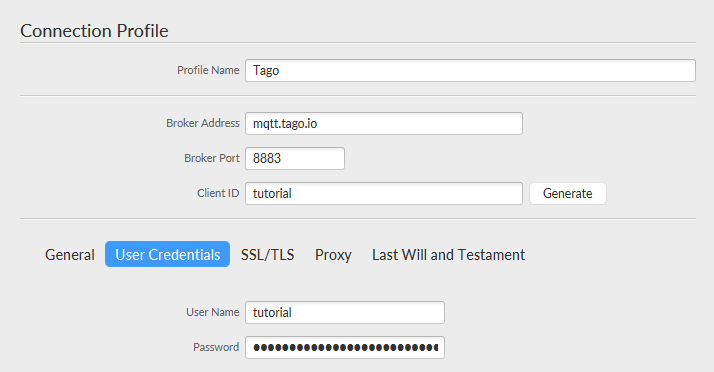 As Tago MQTT broker supports single level wildcard represented by the + sign, On this section, you will learn how to work with this wildcard. As we subscribed to the topic home, let’s publish some data to this topic. If we go back to the subscribe section, we can see that we received a message on the topic home/+and on the topic home there is the previous message. 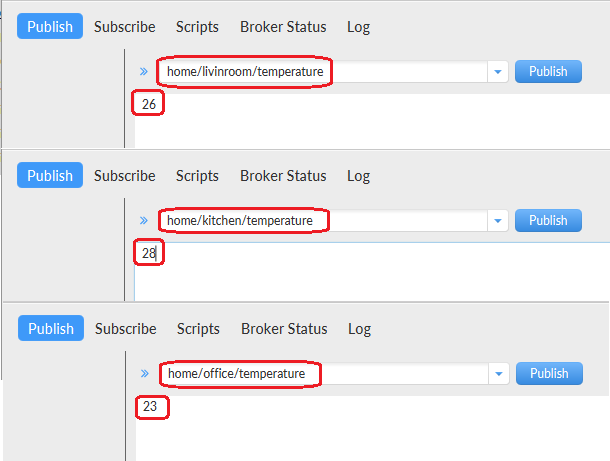 If we go back to the subscribe section, we can see that we received a message on the topic home/+/temperature and on the other topics there are the previous messages. If we go back to the subscribe section we can see that the topic home/+/temperature received the three new messages we have just sent. 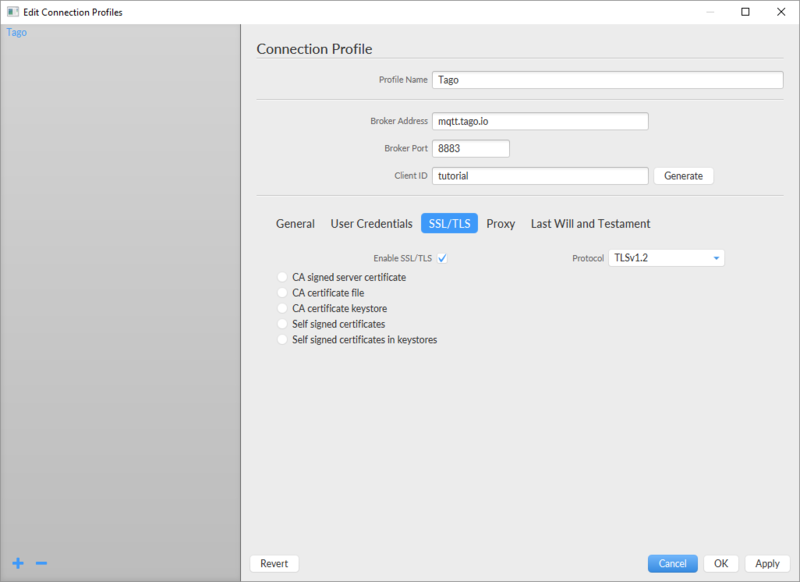 Tago MQTT broker also supports multi level wildcard represented by the # sign, on this section you will learn how to use this wildcard. If we go to the section subscribe, we can see that both topics received the message. If we go to the section subscribe we can see that the topic home/# received the three new messages that we have just sent. 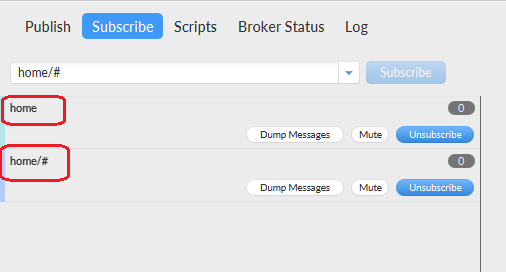 Tago MQTT broker can retain the last message to each topic if the client chooses to, and every time any client subscribes to that same topic it will receive the retained message. To retain a message to any topic using Mqttfx is very simple, just set the retained flag and publish the message with some payload, in the example below we sent a retained message to the topic home/temperature with the payload ‘22’. Now every time some client subscribes to the topic home/temperature or using wildcards that match that topic will receive the message 22 immediately after the subscription. 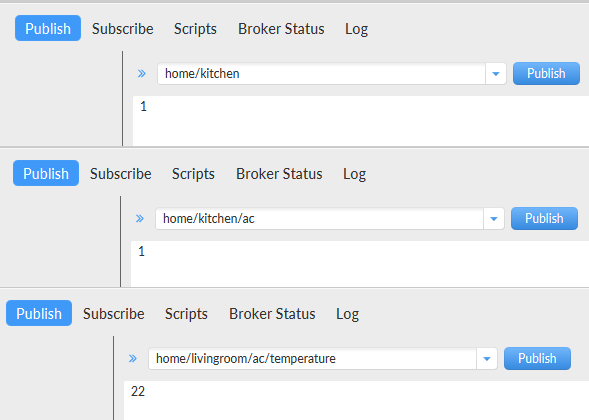 Tago MQTT broker only stores the last retained message per topic, meaning that if the client sends another message to the topic home/temperature, it will overwrite the previous retained message. If the user no longer wishes to have the retained message on a specific topic, this message can be easily deleted from the broker. To delete a message, just publish to the topic you wish with the retained flag and no payload. 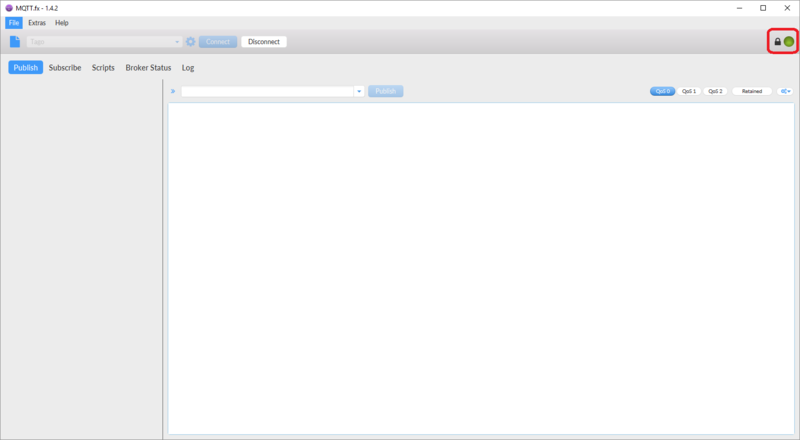 In this example, we will delete the retained message on the topic home/temperature.